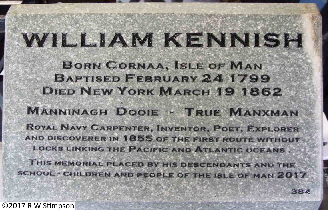 The William Kennish Memorial Trust was formed to raise funds to place a Manx Granite Memorial to William Kennish in New York in 2016. Using Dhoon Quarry Granite - located less than two miles from William’s birthplace - carved and engraved on the Isle of Man before shipping it to New York. It was placed on Monday March 13th, immediately prior to a severe blizzard which placed 12” - 18” of snow across Brooklyn and New York! This ensured the memorial ceremony on the 155th anniversary of William Kennish’s death on 19th March 2017 would proceed. The details below were published during the shipment of the stone from the Isle of Man to Brooklyn in January, February and March 2017. UPDATE 1st March: THE MEMORIAL STONE has been delivered to Brooklyn, USA! UPDATE 21st February 21:30hrs: The memorial has arrived at Cavalier Logistics Heathrow Airport specialist handler for preparations for flying. The IOM Crate will be replaced by a specially heat-treated timber one which meets US Federal Regs. UPDATE 20th February 20:30hrs: The crated stone is on the move! Thanks to DLP It is on the Isle of Man Steam Packet Ship Ben My Chree en-route to Heysham! 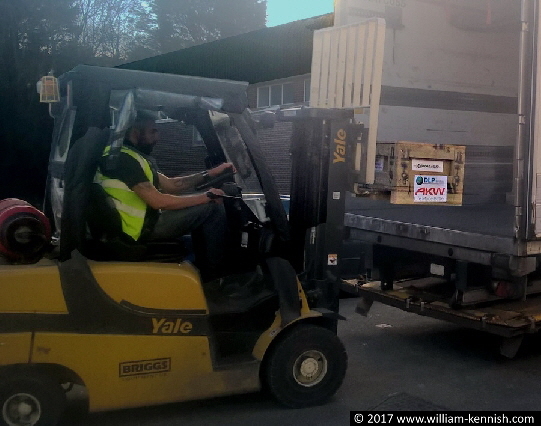 UPDATE 18th February 2017: The fundraising is complete, with £5,050 being raised and the stone has now been completed and crated up for shipment from Monday 20th February to the USA. The photo below is of the actual stone. UPDATE 10th February 2017: The stone has now been cut to shape and polished in preparation for engraving. The remaining funds are needed to be able to complete the project, which is progressing as far and as fast as raised funds permit, so every £ and $ helps greatly! UPDATE 4th January 2017: The engraving on the memorial has been modified to show reference to the School-Children of the Isle of Man following a generous contribution to the Memorial fund by the Dhoon School, Maughold, Isle of Man. 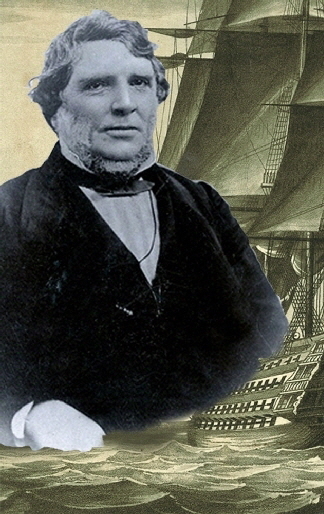 The Dhoon School is the closest to William Kennish’s birthplace. 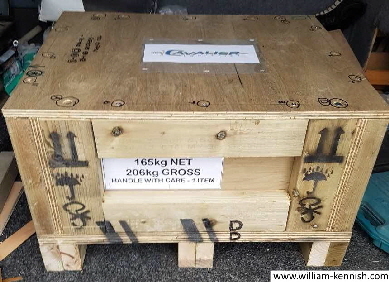 The 3ft x 2ft x 18in IOM crate weighing 450lb/ 206kg gross when fully loaded. Monday 20th Feb - Loading at DLP in the Isle of Man. 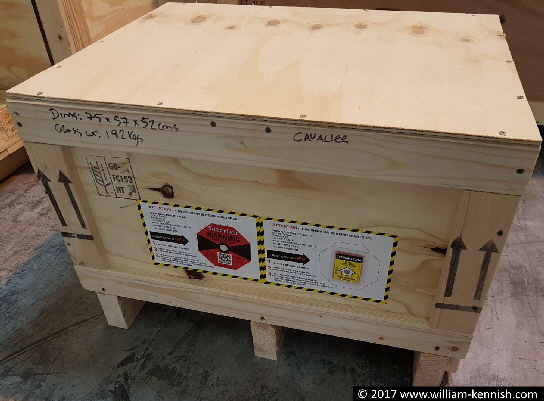 Wednesday 22nd Feb - The Cavalier weight-optimised US Federal Code Compliant Timber Crate - note the ISPM-15 heat-treated-timber mark, and the shock and tilt sensors on the side. 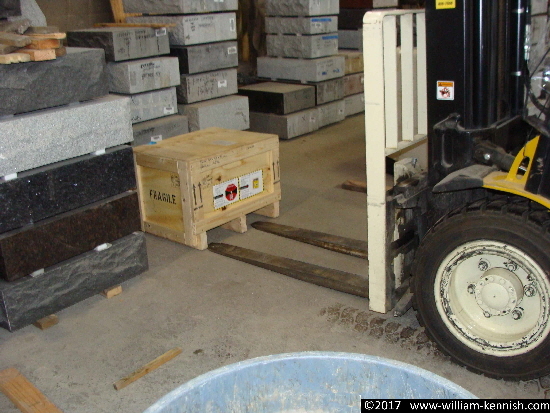 Wednesday 1st March - The crate is in the memorial stone warehouse of the installers in Brooklyn.